Located in Paso Robles, CA we are a glass repair and replacement shop specializing in windows, dual pane windows, shower enclosures, mirrors, cabinet glass, wardrobe doors, tabletops. 20 years on the Central Coast. 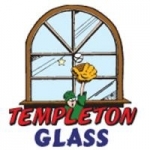 Started in 1989 as Flannagan’s Screen & Glass and in 1991 started Templeton Glass with another couple as partners. Shortly after, Jim and Rena bought out partners and have been sole owners since. Templeton Glass incorporated in January 2012. “Okay, that is what I call customer service! Thank you so much to Kelly for the friendliest disposition and for Zia for his expertise…. I had my sliding door glass replaced in 2 days between measurement and complete installation… I’m a happy customer!” – Sylvie B.